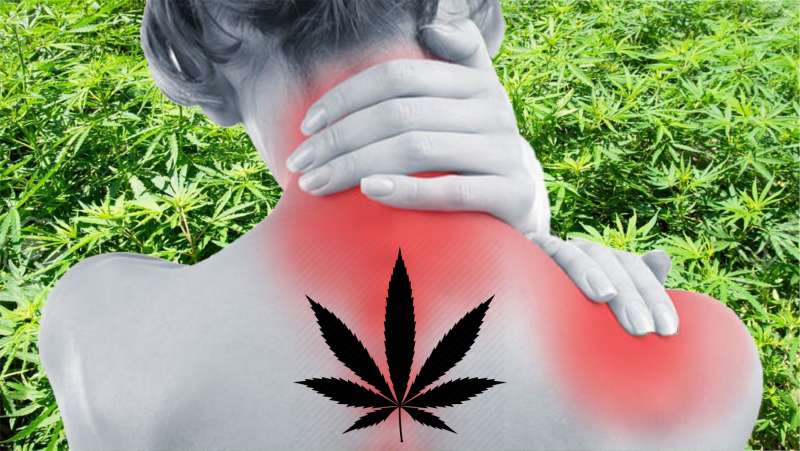 A new study has revealed that nearly two-thirds of American medical cannabis patients are using it to help treat chronic pain. Researchers at the University of Michigan examined data from State registries, tracking the number of patients prescribed medical cannabis and the medical conditions which they use cannabis to treat. A total of 20 States, and the District of Columbia, had registries tracking total patients using medical cannabis, with 15 of those states tracking the conditions the conditions which qualified patients for cannabis. This makes chronic pain by far the most common medical condition patients are using medical cannabis to treat. Following chronic pain, the most common medical conditions patients were using medical cannabis to treat were: multiple sclerosis (MS), nausea and vomiting caused by chemotherapy, and post-traumatic stress disorder (PTSD). They found that 85.5% of all patient-reported qualifying conditions had either substantial or conclusive evidence of therapeutic efficacy. “The vast majority of conditions for which people use cannabis have substantial or conclusive evidence of cannabis being an effective treatment. “Medical cannabis patients are placed in a position where they typically have no choice but to experiment to find their optimal dosing regimen. “There are still many problems with how medical cannabis is actually utilized in day-to-day medical practice, but this paper provides some reassurance that it is being used in many cases to treat the right medical conditions. “Many physicians in specialty cannabis clinics will give certifications to anyone who will pay for it, and the level of follow-up care is often poor. “One way we can change this is to improve the education that healthcare professionals receive on medical cannabis so that they will feel more comfortable certifying patients when appropriate and be more likely to offer useful guidance to patients on what type of cannabis to obtain, how to dose it, and what side effects to look out for. Chronic pain affects more than two-fifths of the UK population, meaning that around 28 million adults are living with pain that has lasted for three months or longer. Current treatments for chronic pain in the UK are normally opioid-based pharmaceutical medications, leaving patients with the choice to either suffer in pain, or null their pain with medications heavy in dangerous side-effects. Thousands of patients are illegally using cannabis for medical reasons everyday in Britain, leaving them at the whim of the black market or at the mercy of a justice system which seeks to punish, rather than help, people trying to live a normal, pain-free, life. With cannabis providing two-thirds of medical cannabis patients in the US with effective pain relief, is it time the British Government extended legal access to medical cannabis to a great number of desperate patients in the UK?